Place THE HIRED HAND with TENDER MERCIES. LONESOME DOVE or the novelsof Cormac McCarthy for the way it touches on, but does not fullyinhabit the 'western' genre. 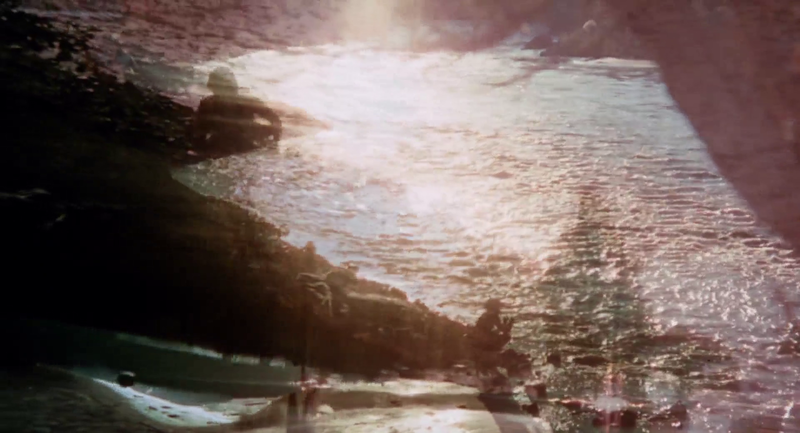 This is a film about the tragic,irrevocable voyage we take through life. 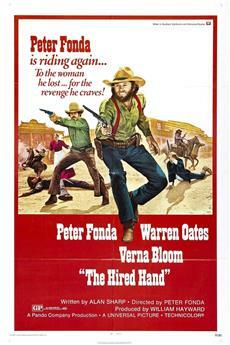 <br><br>THE HIRED HAND is also an examination of the theme of male bonding. Butit is one of the deeper explorations of that theme and dares to suggestthat bonding is really a kind of love. Harry (Peter Fonda) had beenmarried when too young. He left his wife and child to be on his own,and at some point connected with Arch (Warren Oates). As the storyopens, Harry tells Arch he wants to return to his wife, instead ofcontinuing on to California. The unpredictability of this film is setout from the start with the opening shot, an impressionistic view ofArch, Harry and their young companion, Dan. And that unpredictablequality come to the fore when Dan is suddenly taken out of the picturecompletely. At this point, Arch forgets California and goes with Harryto find the wife. It's clear from her first appearance, that Hannah(Verna Bloom) has harbored anger over the years of Harry's absence andis not willing to have him back. Fonda's performance reveals a greatdeal of ambivalence about his return: is it merely a sense ofobligation that has brought him back? Agreeing to stay on as a 'hiredhand'--not a permanent member of the family--Harry does remain, withArch, sleeping in the barn. It's quite clear that the two men arecomfortable, and have already been living a life of their own together.When Harry finally attempts to re-start his marriage, he ishalf-hearted at best. Hannah has given in to her own admitted needs andtaken him back, but the newly re-formed family never takes hold. Thiscan be seen very clearly when Arch leaves for California (in the uncutversion, he is told to leave by the town sheriff). At that point thetrue, underlying meaning of THE HIRED HAND becomes clear. There is anincredible, long sequence beginning with Arch's departure, and theintense longing look of Harry, watching him ride away. No dialogue,only Bruce Langhorne's, melancholy guitar-based score is heard underdissolving images of Harry and Hannah and their awkward situation. 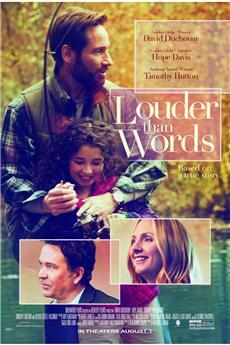 Thesequence ends when Hannah tells Harry she loves him and he repeats itto her, but with little conviction. Harry has 'gone home again' and, asis so often the case, he will not truly be able to return to hisearlier life. Leaving the first time, and finding Arch, Harry hadfollowed his true desire and needs. With Arch now departed, Harry cansee his own mistake. 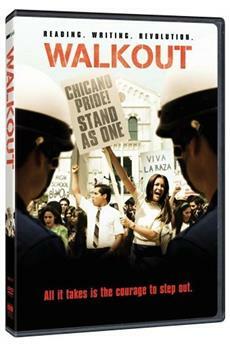 The film's final sequence is a dramatic playingout of the two men's destinies. Taken prisoner by an evil villain (thesingle stereotyped element in this non-western), Arch knows if he sendsfor him, that Harry will come. The gruesome severed finger delivered bymessenger recalls an ancient fairytale, like the Singing Bone, where apart of the body speaks for the character. Harry arrives to rescueArch, but he is immediately shot, and thereby takes the place of hisfriend in death. His last words are the most telling in the film: &quot;Holdme, Arch!&quot; The men embrace in powerful image of their deep bonding.This was the main relationship of Harry's life. While it was nothomosexual, his love for Arch had superseded anything he had felt forHannah. The very final shots, of Arch returning to Hannah's farm, areambiguous: is he coming back to her, or to the memory of Harry?<br><br>THE HIRED HAND is filmed with a sublime, impressionistic eye by VilmosZsigmond. This is a film of long, slow dissolves Perhaps there are onetoo many such effects, but they do create a fluid, timeless flow.Strict chronology is not an important element of this film. The beautyof the images may recall for some Terence Malick's DAYS OF HEAVEN. Inthe first half of the film, we are shown men in a natural environmentthat is not only beautiful, but sometime rough and foreboding. Viewerswho are familiar with the novels of Cormac McCarthy, especially his'Trilogy' that includes ALL THE PRETTY HORSES, may be reminded of thatauthor's evocation of a stark, grim poetry in the natural world of theSouthwest, where humans live out harsh lives, drifting always towardsdeath. Also like McCarthy is the depiction of so much meaning andemotion without dialogue. It is tempting to think that, given thechance, Peter Fonda might have made a film on McCarthy's most famousnovel that would have done it justice.<br><br>The culture of world cinema owes gratitude for those involved in themaking, restoration and distribution of THE HIRED HAND. If you're into film that has to have a cut every 3 seconds to stayinteresting, skip this one. 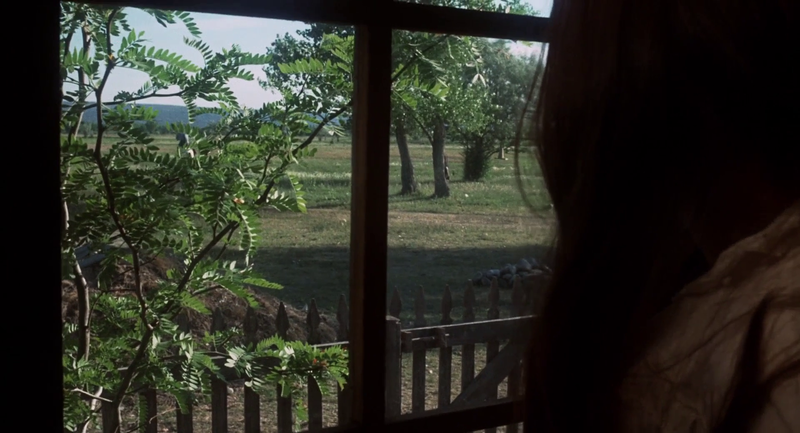 But if you're into film as an art form, thisisa must see.<br><br>The photography is masterful by Vilmos Zsigmond. From the deeply richsilhouettes made with the natural light of a sunset to the shading andtextures of lamp and fire light, this film is a profound lesson inpaintingwith light.<br><br>The montage scenes blend the beautiful images into a pensive and gracefulpassage of time. The editing creates a deliberate pace that recreates atime when a horse trot was the natural speed. But when the gun battlesbegin the pace quickens to a gallop.<br><br>The delicate music is perfect blend of instruments for the visuals andprovides the emotional depth that music should.<br><br>Under Peter Fonda's creative direction the film's elements deliver a storyof a man who returns home to make things right because he had the couragetochange. And just when the man and his wife restore their love and trustineach other, he had the courage go away again to save his longtimefriend.